“Does love really belong at work?” he wondered. “Well, do people belong at work?” she asked in reply. 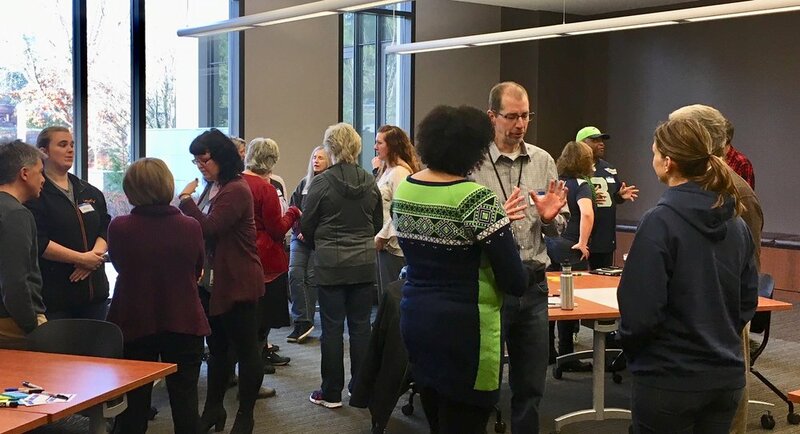 At the next Human Workplace Meet Up in Olympia, WA, we will explore the concept of love at work. Join other public servants and friends of government to explore the many types of love that are part of being human and essential for success at work. Through stories, reflection, and dialogue, together we will better understand loving experiences that support our best contributions, surprising innovations, and effective collaborations. We aren't talking about romantic love, but love expressed in empathy, care, respect, trust, altruism, inclusion, kindness, and friendship. Feel free to share this invitation with others, and do register to RSVP so we can prepare to welcome you! What kind of love belongs at work?